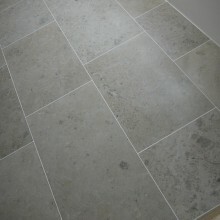 Jura is a German limestone which has a unique and characteristic appearance. Fast becoming one of the most popular limestone choices for modern architects the Jura is characterised by stunning ammonite fossils and a fine scattering of quartz veins. Typically available in only grey and beige, this stone is very versatile, it can be used anywhere in the home and even on very large scale projects such as hotels, airports and shopping centres. This is because it is one of the hardest stones quarried today, but retains a unique, delicate and contemporary appearance. 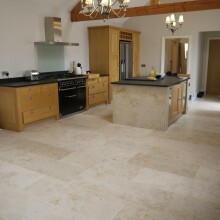 The highly sought after Jura Limestone is characterised by amethyst fossils and fine quartz veins. Jura Beige compliments warmer tones for a classic, sophisticated appeal.